With its subtle cultural richness and traditions of the hundreds of ethnic groups living on the islands, Indonesia earns the name of an exciting tourist destination that promises an unpraralleled shopping experience quite unlike no other country. In major cities, such as Jakarta, Bandung, Yogyakarta and Denpasar, a unique stunning contrast is offered. World-class shopping centers displaying the latest products in fashion, textile, and electronics stand side-by-side with bustling traditional markets. Here, browsing through numerous stalls that sell everything from spices and luscious tropical fruit to everyday household goods gives you the chance to mingle with the locals and soak in the atmosphere. It’s a unique and satisfying experience with the best bargains as the outcome. Marvelous shops, art galleries and boutiques offer exceptional value deals in ethnic items, traditional handicraft and modern artistic creations. With so many shopping opportunities to try, you’re bound to find something special to take home have a lingering impression about Indonesia. Indonesia’s ceramic industry traditionally made clay products for kitchen utensils, religious rituals and at times, personal expression. Today, Indonesian pottery and ceramics have evolved into promising art and export commodities. 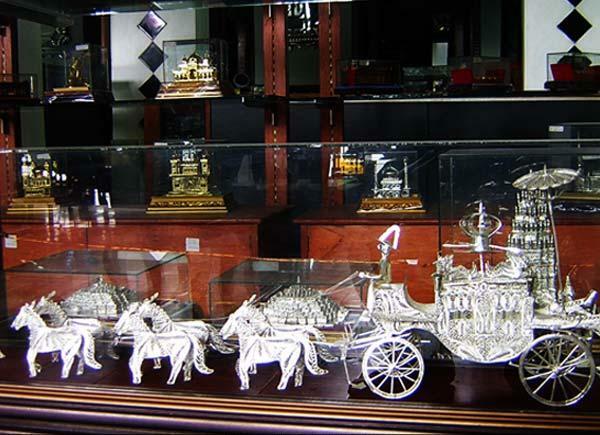 Skilled craftmen produce creative designs that have captured the imagination of tourists for years. Some of the most well-known pottery centers in the country are Plered in West Java, Kasongan in Yogyakarta, Banyu Mulek and Penunjak in Lombok. Pottery in Plered was said to have started in the 18th century and the area later became known as producers of earthenware in the early 20th century. The Plered pottery center lies in Anjun village ± 13 km from Purwakarta or ± 80 km east of Jakarta via the Cikampek toll road. 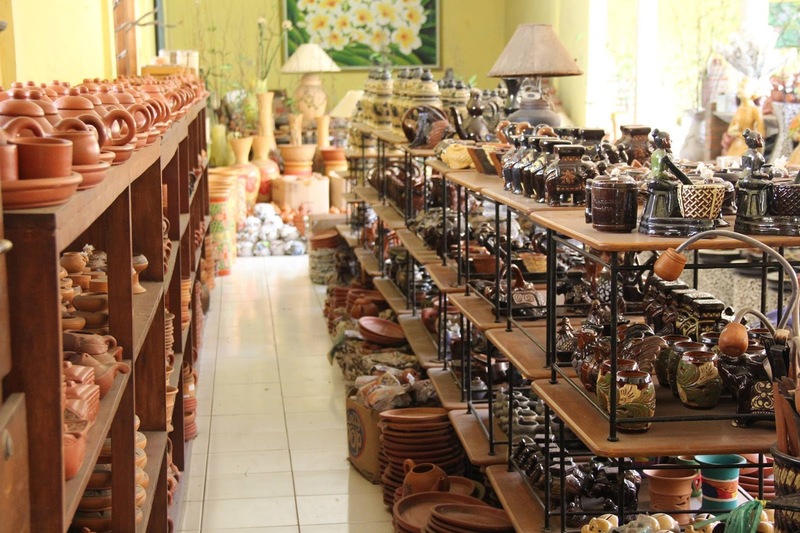 Until the 1960s, the potters of Kasongan, Bantul, Yogyakarta, produced traditional products. The innovative and creative designs adopted in the traditional pottery there was introduced by a well-known Indonesian painter, Sapto Hudoyo. A Famous spot called Pasar Seni Gabusan (Gabusan Art Market) makes a perfect spot to hunt for local handicrafts. The knowledge of pottery was first brought to Lombok by the Javanesse in the 5th century. The indigenous Sasak adopted the skill and developed a pottery tradition that served practical and religious purposes. 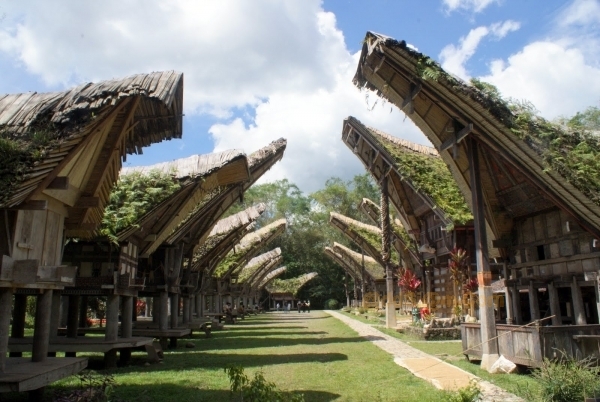 Banyu Mulek in West Lombok and Penunjak in Central Lombok are two prominent pottery village on the island. Keramik Sakok, which is named after the village of the same name, is a local pottery tradition of Singkawang in West Kalimantan. It reflects the Chinese culture through the method used and the ceramics produced due to the most of the artisans who are descendents of Chinese. Very much a village craft, grass plaiting use grass and grasslike plants to create various objects indispensable to the daily lives of the villagers, from rimless caph (kopiah), bags, baskets, mats, and lamp shade to chairs, blinds, to house walls. 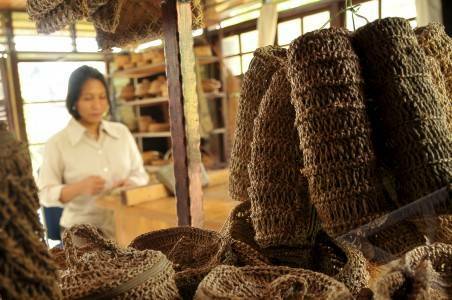 Rattan, bamboo and lontar palm are the common raw materials for the kind of craft. Among the regions and ethnic groups in Indonesia recognized for their superior grass plaiting are the Dayak tribes, the Sundanese and Banjarese. Banjarmasin in South Kalimantan is renowned for their plaited rattan mats or tikar tapis. With the Dayaks, their rattan plaiting displays symbols and mythical forms sacred to the tribe. Plaiting in Tasikmalaya, West Java use bamboo and pandanus fibers and the place to find them is in Raja Polah, a traditional handicraft market about 15 km northwest of Tasikmalaya. Not surprisingly, Bali, the island of arts and crafts, also has a tradition of bamboo and pandanus plaiting centered in the Bangli and Karang Asem regencies. Lombok is known for its anyaman rumput ketak (grass plaiting), especially those produced in Nyiurbaya Lingsar village, West Lombok. 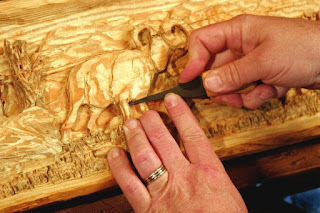 Different Regions have their own wood-carving traditions, some are displayed in their traditional houses and some are exquisite handicraft that fill art galleries. Several regions in Indonesia are renowned for their wood works, namely Jepara on the north coast of Central Java, West Java, Bali, Nias, Toraja in South Sulawesi and Papua. 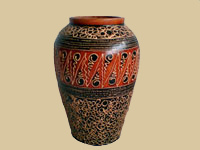 Ornate floral teak carvings are trademark of Jepara. Skilled craftmen produce dividers and screens of delicate teak filigree work and massive wooden panels depicting scenes from the Ramayana. Wood can also be turned magically by Sudanese in West Java and Yogyakarta into Wooden puppets or "Wayang Golek". White for Balinese, woodcarving is very much a dynamic art that constantly evolves with the times. Before, wood carvings were mostly of dities and demons of the Hindu Bali mythology, but today, the work of Balinese woodcarvers especially those in Mas Village near Denpasar is wonderfully imaginative drawing inspiration from everyday life, such as realistic fruits and animals. In other parts of archipelago, wood carvings is linked to rituals and rites. In South Sulawesi, the traditional homes (Tongkonan) of the Toraja people are decorated with beautifully carved wooden wall panels and painted with clean motifs and colors that also describe the lives of their ancestors. In East Kalimantan, baby carriers are made of wood that are covered with symbolic motifs believed to protect the babies. Papua's Amat Tribe has long been known for their primitive brand of art with the coarse style which possesses its own charm. Their carvings of shields, wooden bis poles, statues, and even canoes reflect their ancient ancestor worship. Across the archipelago various regions, skilled craftmen work with a wide range of metals; brass, gold, silver, copper and ti to produce wonderfull items using a variety of methods. 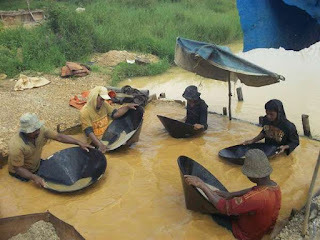 The silversmiths of Yogyakarta area centered in Kota Gede. This quite old town some 7 km from central Yogyakarta was once the former capital of the Mataram Islamic kingdom. Today, it is the center of Yogyakarta's silver industry. Along the main street watch silversmiths at work in the workshops that line the street, producing tea sets, bowls, jewelries, and accessories. The Village of Celuk in Bali is a center for silver and gold works. Generations of silver and goldsmiths work using age-old techniques to produce exquisite ornaments and settings. Original designs ini delicate filigree combined with tiny globules give Balinese jewelry its distinctive appereance. In this village, they offer custom-made earrings, pendants, to bracelets and rings, personalized according to your taste. Aceh and West Sumatra are famous for line gold and silver filigree. The latter one is also a specialty of Kendari in Southeast Sulawesi. Juwana in Central Java is a prosperous town in on the northern coast famous for its copper craftmanship, as are other cities such as Boyolali, Temanggung, Rembang and Sukoharjo. 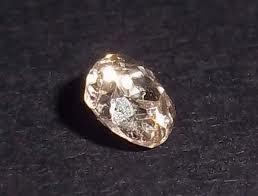 Martapura in South Kalimantan os still number one destination for visitors looking for diamonds and gems. It is also known as Kota Intan or Diamond City. Diamonds from Martapura have different characteristics than those from South Africa, for they produce more than a single spectrum of colors. Jus 18 m from the Syamsuddin Noor Airport, visitors will also have the opportunity to see the traditional mining process and diamond cutting. Also known as 'Exotic Gemstone Market', Rawa Bening market is located in Jatinegara area, East Jakarta. Avid collectors of precious and semi-precious stones will feel right at home among the endless display of sparkling gems sucah as rubies, cat's-eyes, agate, amethysts and emeralds displayed. in a different section of the market, the collection is more varied, such as Indonesian antiques and ceremonial keris (daggers) with gem-encrusted hilts. 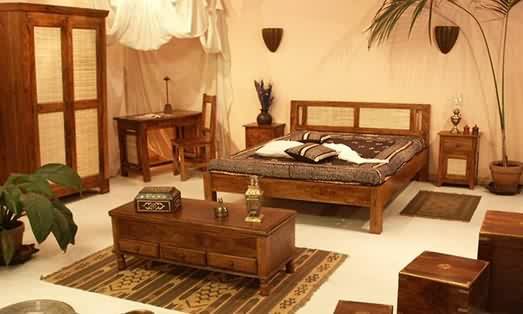 Indonesia's traditional and locally made furniture are made from hardwood, usually teak and rattan. For the latter one, Cirebon's Benda region and Tegal Wangi village are the famous exporters of quality rattan furniture. 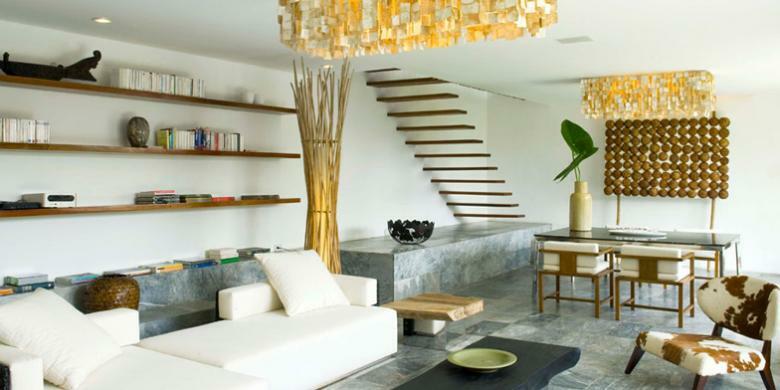 In Jakarta, the always-hip Kemang area, especially the eastern part, has boutiques and galleries dedicated to home decoration and interior design. Due to the great number of exparties living in the area, these establishments offer both stylish and innovative pieces as well as antiques and ethnic designs, such as ukiran Jepara or teak furniture and carvings from Jepara. Weathered wooden panels, doors from old traditional Javanese and Maduranese houses are sold in a line of shops around Pamulang and Ciputat throughway. 0 Response to "Shopping Indonesia -- The Art of Tradition and the Magical Handicraft"